Four & Twenty Blackbirds (Part Two) — Household Mag. You know when you have an amazing dessert and you can picture the baker carefully, meticulously crafting that just for you? Well yes, that happens to me at least. So you could say i was excited to get to take a peek inside the inner workings of Four and Twenty Blackbirds at their kitchen in Gowanus. If you don't already know Four and Twenty Blackbirds, this needs to be on top of your list of places to check out. It was such a treat to observe the process and the beautiful art of making a pie. 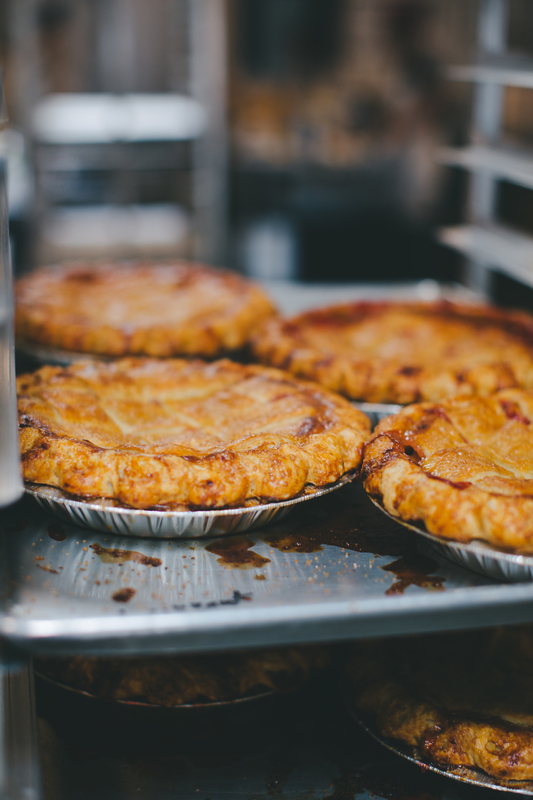 With each crust carefully placed, and sealed by hand, it was almost like watching a machine work or a ballet of sorts. All the different moving parts made this team work together so seamlessly, each of them were masters of their specific jobs. From mixing fillings, rolling out dough, checking timer, to filling and finishing pies, it was such a joy to watch. Words and photography by Amy Frances.